There’s a lot of jargon associated with finding the right retirement community, and understanding it is critical. It’s also important to understand that the ‘nursing home’ concept of the past no longer holds true. 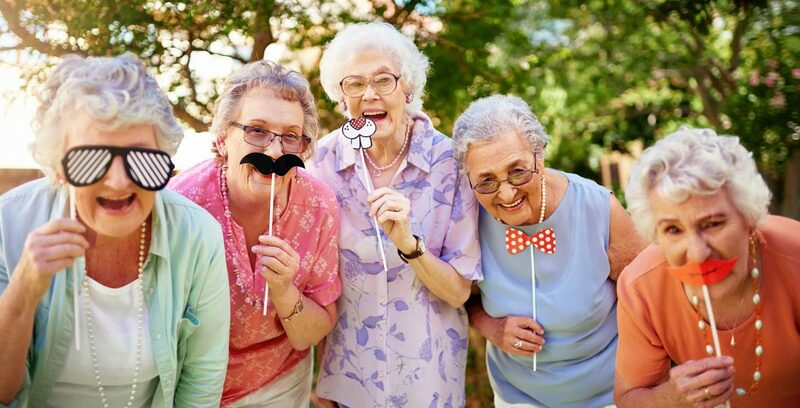 Today’s senior living is different – and far better. Now there are a lot of great options. Independent senior livingcommunities, which can also be known as retirement communities, are essentially housing developments intended for those 55 and older. They usually provide apartments, condominiums and/or single-family homes. The people who live there usually don’t need help with daily activities or nursing care but want the convenience of not having to cut the grass or maintain a house. These communities may offer dining services, basic housekeeping and laundry, transportation, social and fitness activities and pools, spas, and on-site salons. When they do these things right they provide a true ‘community’ that is fun and stimulating. The Assisted Living Federation of America defines assisted living as “a long-term care option that combines housing, support services and health care, as needed.” Thus, they include all of the comfort, convenience and services of an independent living community, plus – if and when they become necessary — medication management; assistance with dressing, bathing and grooming; nursing checks; and transportation available 24/7. The best assisted living communities offer all the convenience, fun, freedom and flexibility of independent living – but with added care, if and when it may become needed. This is why it may pay to look for a community that offers both independent and assisted living. In this situation, a resident can transition to a higher level of care, even temporarily, without leaving the home they love. Memory Care communities cater to people with Alzheimer’s disease, dementia and similar issues. These may also be called specialty care assisted living. They are secure and provide 24-hour supervised care – often in a separate wing or floor of a residential assisted living community, though in an ideal situation, the building is standalone. The staff in memory care should be trained to assist people with dementia or impaired cognition and the building itself should be designed to prevent wandering behavior while being easy to navigate. Today’s better memory care communities offer forward-thinking programs designed to stimulate and help those suffering from Alzheimer’s or dementia. This may be closest to what most people imagine when they think ‘nursing home.’ These facilities provide a higher level of medical care delivered by RNs and licensed practical nurses (LPNs). This includes round-the-clock care and daily assistance. Here at Countryside Lakes, we believe in straight answers and treating people right. My name is Charlie Dierke. I’m the General Manager and it would be an honor to answer any questions you might have. You can reach me at 386.756.3480 or cdierke@CountrySideLakes.com.